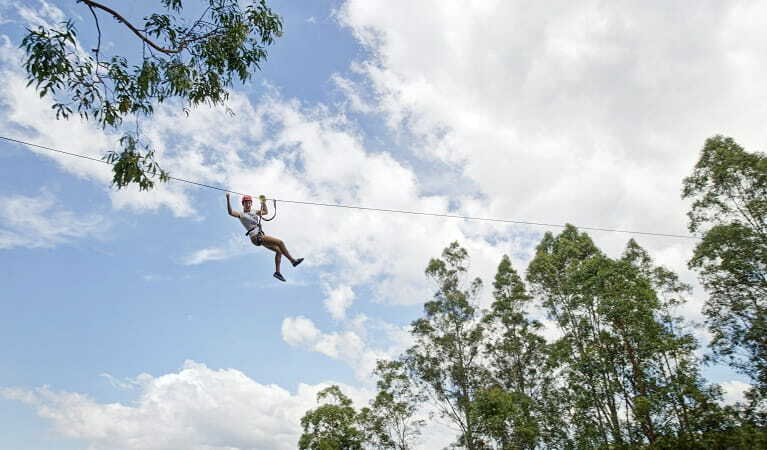 Challenge yourself on a high ropes course in the forest canopy at TreeTops Newcastle. Adults and kids can choose from over 100 elevated obstacles including rope ladders, wobbly bridges and zip lines. To find out about fees, visit the TreeTops website. Walkers, cyclists and horse riders should stay on recognised tracks and trails as there are areas in the park that are subject to mine subsidence. There are a range of courses to choose from, including courses for children and adults. Your clothing might get dirty or damaged, so make sure you wear something suitable. Fully enclosed shoes are required (sporting shoes are recommended). Sandals or slip-ons are not appropriate. 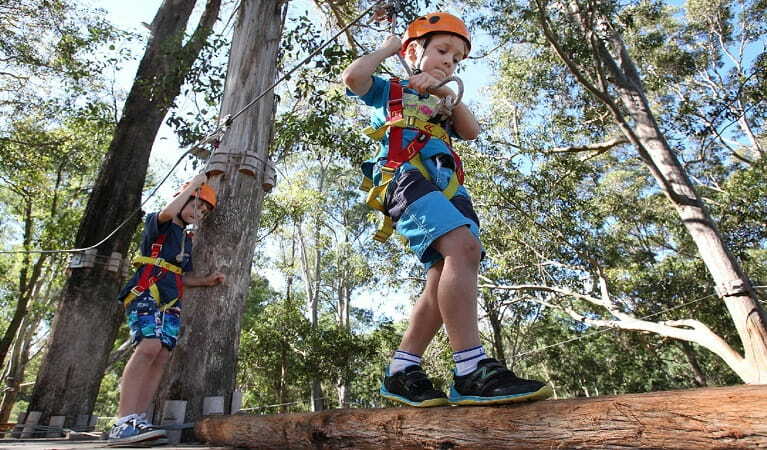 Whether you’re a pre-schooler or the company CEO, from the moment you’re strapped into the safety harness you’ll become an adventurer in the canopy, climbing into the tree tops, whizzing down flying foxes and stepping out across rope bridges. 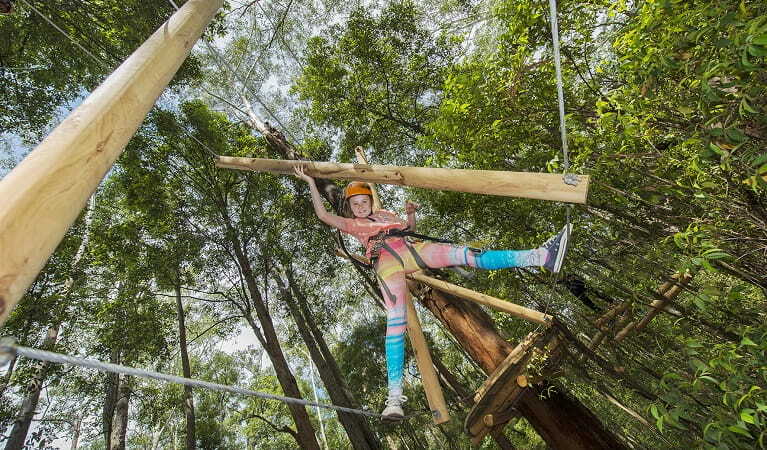 There are adventures for all ages from three years and up, so whether you want a unique birthday party, a work outing or just a brilliant day out, you’ll have an unforgettable time at TreeTops Newcastle. 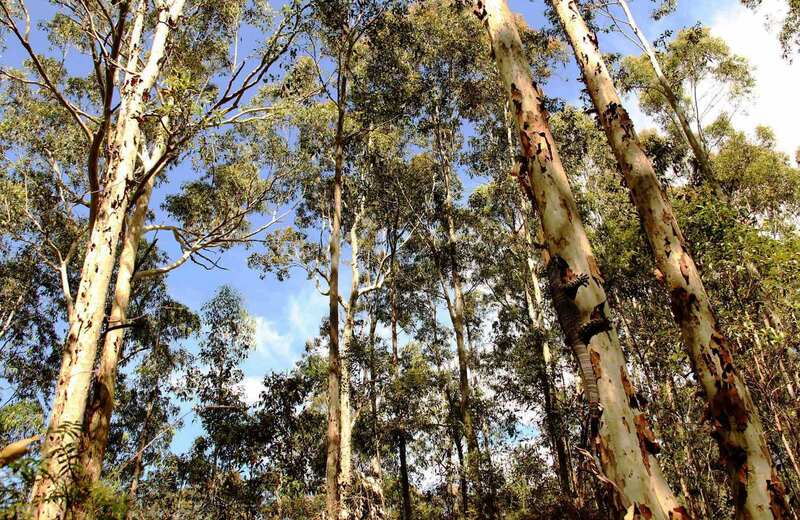 Blue Gum Hills Regional Park is open 7.30am to 8pm during daylight savings (7.30am to 5pm at other times), but may have to close at times due to poor weather or fire danger.